In addition to “bottle to bottle” applications, recycled glass, including process residue glass from material recovery facilities, can be utilized in a number of ways. Examples include crushed and screened glass coarse and fine aggregates for highway and utility construction, onlot and municipal wastewater systems, sand blast abrasives, concrete applications and decorative landscaping and counter tops. The RMC has worked extensively with many entities to develop recycled glass products and obtain regulatory and industry specifications and approvals. 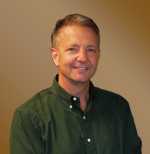 Matt Cougle, COO, Cougle’s Recycling, Inc. The Pennsylvania Recycling Markets Center, Inc. (RMC) recently honored the Northern Lancaster County Authority (NLCA) of Denver, PA with the 2016 William M. Heenan, Jr. Recycling Markets Development Award for its commitment to creation of new markets for recycled color-mixed glass. 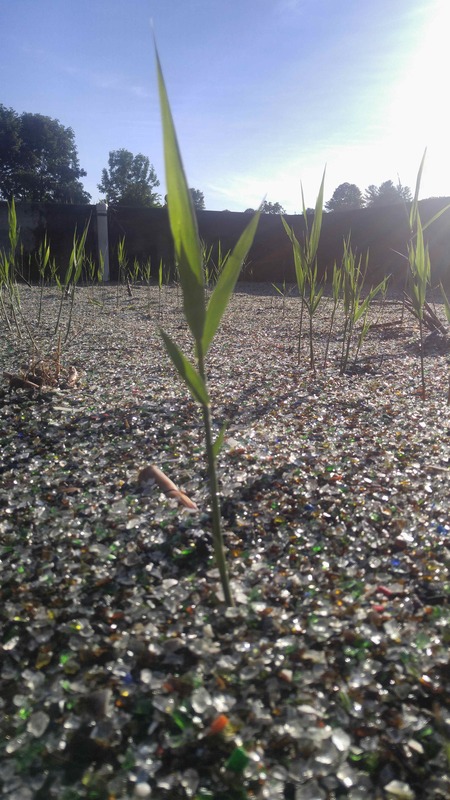 RMC recognized the use of recycled glass as a growing medium for the reed bed filtration system at the Authority’s Beam Road Wastewater Treatment Plant. To RMC’s knowledge, the plant is the first location to use sharp-free, manufactured recycled glass aggregate for this purpose in the United States. A reed bed or constructed wetland is essentially a type of water filtration system that mirrors the way natural wetlands break down waste in water and filter out impurities. 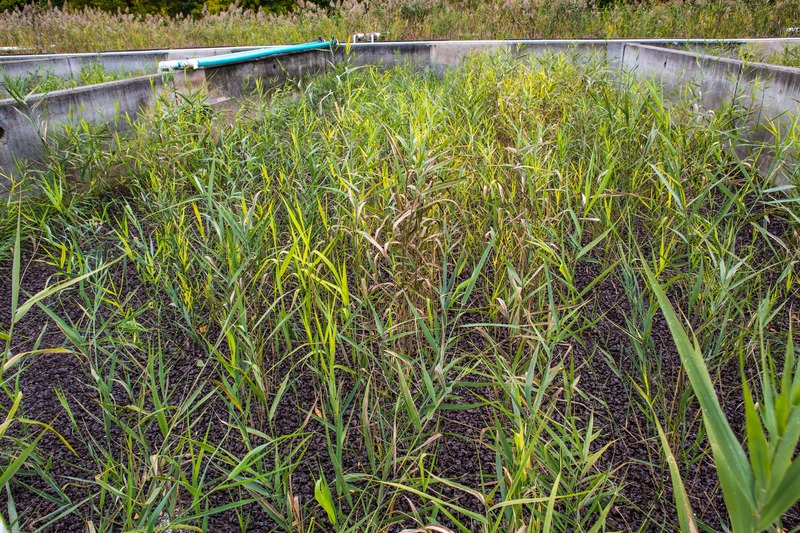 Wetland reeds, specifically Phragmites austalis,are cultivated in a recycled glass aggregate filter bed where the plant roots and natural microbial processes turn wastewater solids into treated water and benign solids. Free of chemicals and odors, these beds have been proven to be both cost-effective and energy-efficient, and significantly reduce or even eliminate the need for disposal of the solids. Reed bed systems have been shown to reduce the volume of solids by as much as 90%. Originally developed by the Max-Planck Institute of West Germany and the Netherlands approximately 30 years ago, the recycled glass process has been approved by the U.S. Department of Environmental Protection, and has been used in on-lot sand mound septic systems for about a decade. NLCA is currently using 800 tons of processed, crushed, size-graded and color-mixed container glass, obtained from Cougle’s Recycling, Inc. of Hamburg, PA – an amount roughly equivalent to what a rural Pennsylvania county may collect in 2.5 years. “No one has put this into an application of this size,” adds Coyle. The NLCA wastewater treatment plant was constructed in 1979 and upgraded in 2013 in compliance with the Chesapeake Bay Tributary Strategy. In order to be in compliance with the Chesapeake Bay Tributary Strategy, the plant diverts significantly more solids to the reed beds than in previous years. This, along with competitive pricing for the sharp-free, recycled glass aggregate, made the decision to use it realistic. The 2016 Reed Bed Upgrade was a win-win for all parties involved. Fred Ebert, President, Ebert Engineering, Inc., NLCA’s consulting engineer; Jason Coyle, NLCA Superintendent; Scott Davis, President, Constructed Wetlands Group; and Wayne Bowen, Recycling Program Manager, Pennsylvania Recycling Markets Center combined technical knowledge and research to bring the successful project together. Using Cougle’s Recycling Inc.’s manufactured recycled glass aggregate saved thousands of dollars of freight expense compared to hauling the nearest available sand from Delaware or Maryland. Donald Kellenberger, of Kellenberger Excavating in Spring Township, said final grading of the recycled glass aggregate was easier than sand. Don observed that the manufactured recycled glass aggregate held its shape and position better than the sand. This ease of installation resulted in significantly less time to complete installation, reducing total install time to less than two (2) weeks. The Northern Lancaster County Authority was the first Reed Bed Biosolids Treatment System in Pennsylvania. With over 80 Reed Bed Systems treating biosolids in Pennsylvania, the Authority has opened a door for using recycled glass both here and across the nation. “The RMC will continue to expand this use across Pennsylvania and potentially the nation,” added Bylone. 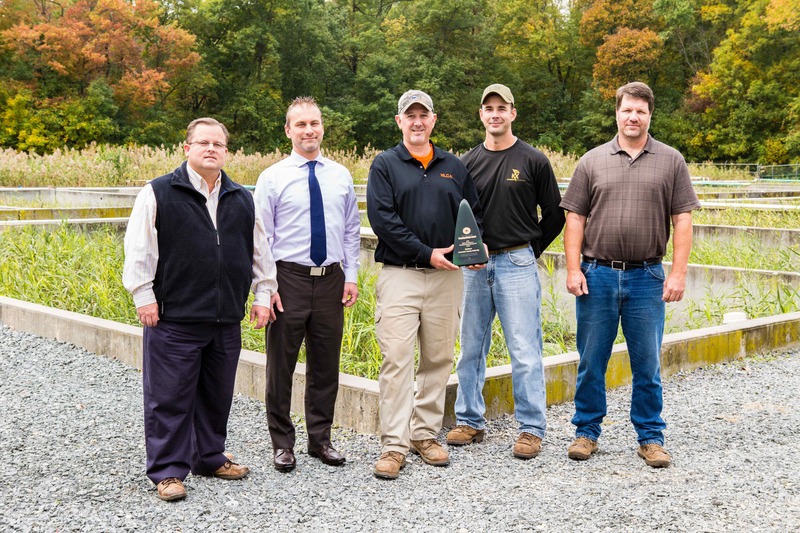 “A win for the environment, while simultaneously reducing construction costs for the residents of Brecknock Township and excelling treatment output made receiving the 2016 Heenan Award very rewarding,” said Jason Coyle. The William M. Heenan, Jr. Recycling Markets Development Award is the only award of its type given annually in Pennsylvania, and is named in memory of William M. “Bill” Heenan, Jr. Heenan, a lifelong international ambassador of the recycling industry who was instrumental in supporting the Pennsylvania Department of Environmental Protection to initially vision and fund inception of the RMC. A partnership between the RMC and NRC in delivering innovative programming to those who are seeking integrated opportunities for materials management. An industry expert will discuss the challenges recycling is facing, including changes in stream composition, rising labor costs, increasing maintenance and processing costs, and depressed commodity prices. Adapting to these challenges will require public and private sectors working together. Individuals must also understand and take on the costs of recycling as well as the negative impacts placing undesirable materials in the bin. An industry expert will provide an update of the recent turmoil in the metal commodities markets with a focus on recycled scrap metal. 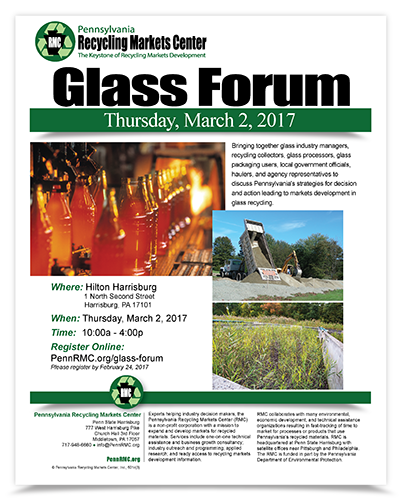 An expert in glass cullet purchasing and customer relations will explain the benefits of using recycled glass when making new glass containers, including, reduced energy consumption resulting in lower emissions, and 100% recyclability of the feedstock with no waste material in the forming process. In addition, several obstacles with using recycled cullet will be detailed, including, contamination that causes imperfections in the containers, which results in lost production efficiency, increased accident potential from glass related injury. The Environmental Protection Agency (EPA) estimates that Americans purchase and use nearly 3 billion dry cell batteries every year to power our electronic devices. The improper handling and disposal of batteries can create serious safety concerns and contaminate the environment. A professional battery recycler will provide an overview of make-up and characteristics of batteries that we use every day, the laws that regulate the handling transportation, recycling and disposal, and how batteries are processed and recycled. Presenter: John Kincaide, President, E-Waste Brokerage Inc.
Marketing and promoting a nonprofit organization is a complex and ongoing task. Learn how to be successful at acquiring and sustaining funding for your NPO. This webinar will discuss the “Science of Inequality” as it relates to environmental justice issues faced by solid waste management and recycling facility projects. The term “Inequality” will be defined and the “Math” that quantifies the factors that influence it will be addressed. About the National Recycling Coalition, Inc. The National Recycling Coalition is a national non-profit advocacy group; a professional membership organization. The Mission of the National Recycling Coalition is to partner with and facilitate activities between and among non-profit organizations (NGO’s), businesses, trade associations, individuals and government to maintain a prosperous and productive American recycling system that is committed to the conservation of natural resources. Nearly 3000 members of the NRC span all aspects of waste reduction, reuse and recycling (local recycling coordinators, state and federal regulators, corporate environmental managers, environmental educators, consumers and waste management professionals) The Coalition represents and advocates for every sector of the recycling industry across the country. (on the local, state and federal levels). The leadership of the NRC strives to develop meaningful partnerships with corporate, government, and non-profit leaders to bring about important changes in the way we use, manage, and recycle natural resources. The Coalition provides its members with the tools and resources they need to convey to their community members, decision makers, and the news media the important benefits that recycling provides to our economy and environment. About the Pennsylvania Recycling Markets Center, Inc. Experts helping industry decision makers, entrepreneurs, inventors, and recyclers, the Pennsylvania Recycling Markets Center (RMC) is a non-profit corporation with a mission to expand and develop markets for recycled materials; stimulate demand for products with recycled content; and understand up-to-date market trend data. RMC supports the recycling supply chain – manufacturers, end-users of recycled materials and products, recycling processors, haulers, and ultimately the consumer. Beginning at the demand-side of recycling markets, services include one-on-one materials management technical assistance and business growth consultancy; industry outreach and programming; applied research; and service as an enterprise portal to recycling markets development information. RMC strategically collaborates with many environmental, economic development, and technical assistance organizations – reducing barriers and fast-tracking time to market for processes or products that use Pennsylvania’s recycled materials. Pennsylvania Recycling Markets Center, Inc.
An e-scrap processor has announced plans to build a facility in Whitewater, Wis. with the goal of transforming CRT glass to tiles. 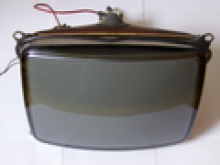 After a five-month hiatus, India’s Videocon has begun accepting CRT glass from its main U.S. suppliers.